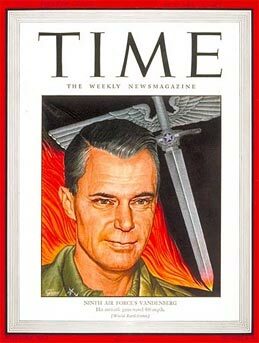 *This week’s TIME magazine cover: Major General Hoyt Sanford Vandenberg, commander of the U.S. Ninth Air Force. *In Germany, Adolf Hitler evacuates to his underground Führerbunker. *In Poland, The Soviet Union’s Red Army occupies Warsaw. *Hungary drops out of the war, agreeing to an armistice with the Allies. *Sam Cooke turns 14. He is the gospel singing son of a Baptist minister on the south side. *Price check: A brand new Emerson Bedroom Radio is $19.65 (and it isn’t actually new—they haven’t been making them during the war). A man’s suit can be had from $24.50. 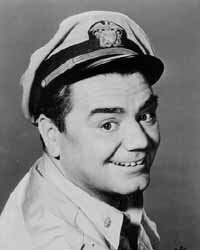 *Ernest Borgnine celebrates his 28th birthday serving in the United States Navy as a Gunner’s Mate 1st class. *Little Janis Joplin turns 2 in Texas. *John Steinbeck’s “Cannery Row” is published. 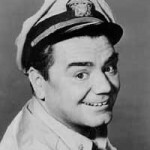 Ed Sauer is one of the outfielders on the Cubs roster. He has strictly been a reserve for the past two seasons, getting into only a handful of games. Sauer is in California at the Angels training facility—the Cubs minor league team—with full blessings from the Cubs, and won’t be making it to the official spring training in French Lick, Indiana. He is training with fellow Cubs Ray Primm and Len Rice. By the beginning of the season Sauer will make his way into the Opening day starting lineup because of the holdout of Peanuts Lowrey and the injury to Frank Secory. He’ll remain on the roster all season, and even get two at-bats in the World Series. Unfortunately, he’ll strike out both times.